Eternal Orthodox Church calendar for the 31.08 year 2017. 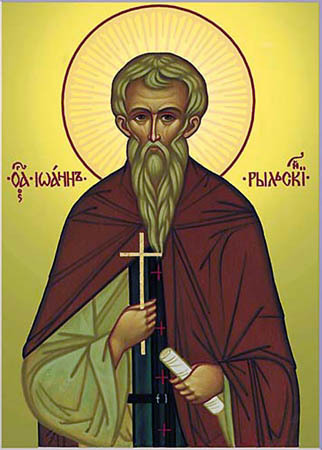 This great ascetic and light of the Orthodox Church was born near Sophia, in a place called Skrino, in the time of the Emperor Boris. He was born of poor but worthy parents. 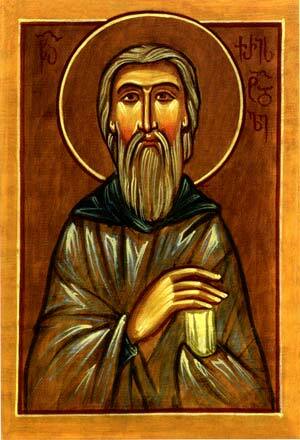 After their death, he became a monk and withdrew to a high mountain, where he began to live the ascetic life in a cave. He endured many assaults both by demons and men, from robbers and from his kinsmen. He afterwards moved to the mountain of Rila, and there took up residence in a hollow tree. He ate only the herbs and berries that grew, by God"s providence, in the vicinity. He saw no man"s face for many years until, again by God"s providence, he was found by a herdsman searching for his lost sheep. The saint then became known among men, and people began to come to him, seeking help in sickness or trouble. The Bulgarian king, Peter, himself visited him, to ask his advice. Many who were seeking the spiritual life settled near to John, and a church and monastery were soon built there. 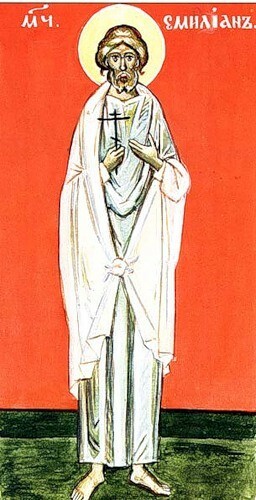 St John entered into rest in the Lord on August 18th, 946, at the age of seventy, and appeared to his disciples after his death. His relics were first taken to Sophia, then to Hungary, to Trnovo and finally to the monastery of Rila, where they are preserved to this day. The monastery of Rila has, through the ages, been a lighthouse and a place of wonderworking power and spiritual support to the Christian people of Bulgaria, most especially during the time of slavery under the Turks. Brothers in both the flesh and the spirit, they were both zealous Christians, and stonemasons by craft. They lived in Illyria. Some pagan prince set them to build a pagan temple. It happened during the course of their work that a fragment of stone splintered off and flew into the eye of the pagan priest"s son, who was watching the building work with curiosity. Seeing his son blinded and bleeding, the priest shouted at Florus and Laurus and tried to thrash them. Then the holy brothers told him that, if he would believe in the God in whom they believed, his son would be restored to health. The priest promised. Horus and Laurus prayed to the one, living Lord with tears and e the sign of the Cross over the child"s stricken eye. The child was healed instantly and his eye became whole as it had been before. Then the priest, Merentius, and his son were baptised, and they both very soon suffered for Christ in the flames. But Florus and Laurus, when they had finished the temple, put a Cross on it, called together all the Christians and consecrated it in the name of the Lord Jesus with an all-night vigil of hymns. 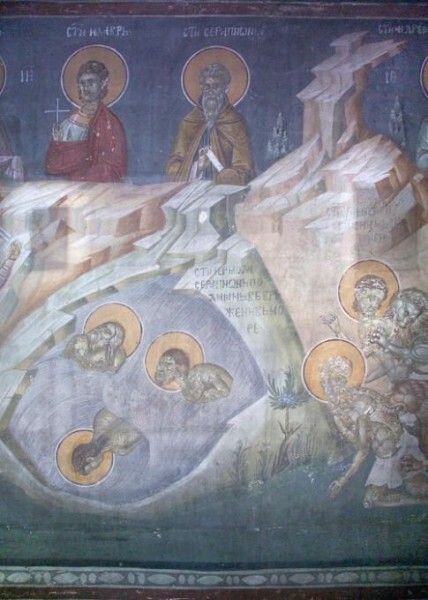 Hearing of this, the governor of Illyria burned many of these Christians by fire and had Florus and Laurus thrown alive into a well, which was then filled with earth. Their relics were later discovered and taken to Constantinople. 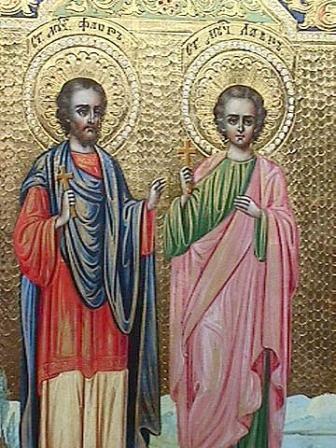 These two wonderful brothers suffered for Christ, and were glorified by Him, in the second century. He was born in Armenia. 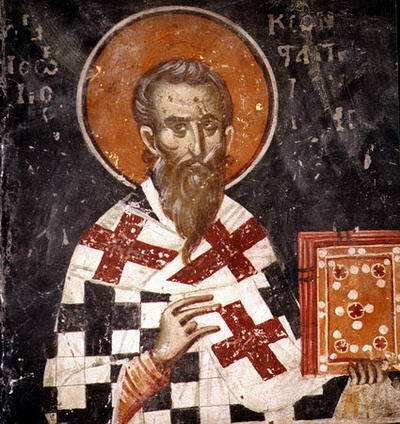 He sought martyrdom, and went to Italy to preach Christ in the time of Diocletian, being chosen as bishop in Trevi. Through the many miracles associated with his martyrdom, about a thousand pagans came to faith in Christ. He was slain with the sword along with his spiritual father, Hilary, and two brothers, Dionysius and Hermippus. 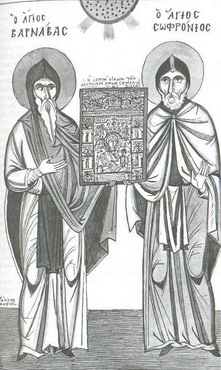 Sainted John V was Patriarch of Constantinople from 669-674, and Sainted George I – from 678-683. They were both during the reign of the emperor Constantine Pogonatos (668-685). The Monk Christopher was born in the locale of Gazara, near Trapezund. He was the head of a monastery on Mount Mela in the second half of the VII Century (641‑668). On this day we celebrate the memory of Four Ascetics in the desert whose names are unknown. Also Many (300) Saints burned in a fire for smashing idols. The Martyrs Hermas, Serapion and Polienus were Romans, and they suffered for Christ in the II Century. They were thrown into prison, and when under interrogation they firmly confessed their faith in Christ and refused to offer sacrifice to idols, the martyrs were dragged through crowds and impassable places. Struck by stones and other material, they died, taking up their heavenly crowns. 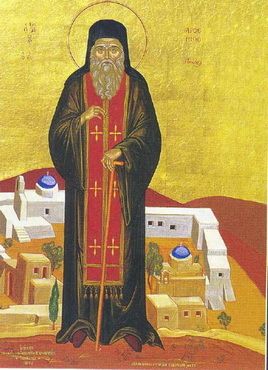 The Monk Barnabas and his nephew Sophronios were Athenians, saved upon Mount Mela near Trapezund in Asia Minor. They died in the year 412.